Pinnacle Park was originally the summer camp and hunting lodge of the Parks family. It was attached to the J.W. Parks Golf Course across Hartland Avenue. The family donated both the Pinnacle Park and the golf course, to Maine Central Institute in 1962. The land is on and adjacent to an unusual geological bluff on the Sebasticook River. It is bordered on two sides by Hartland and Waverly Avenues and on the third by the River. 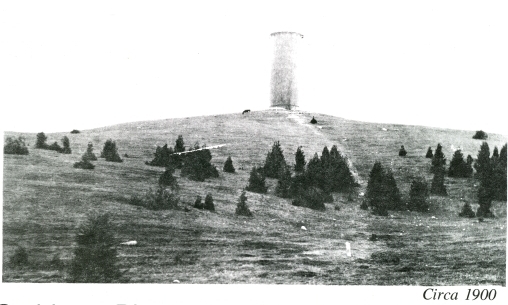 View of the hill that is now Pinnacle Park from around 1900, shortly after Pittsfield’s first water tank was constructed in 1894. MCI has leased the Pinnacle Park section to the Town since the mid-1960’s. The Pinnacle Park Ski Club has managed the property for the Town at no cost since approximately 1955. Commonly called “The Pinnacle,” the Park offers a very popular winter sporting opportunity for Pittsfield’s youth. 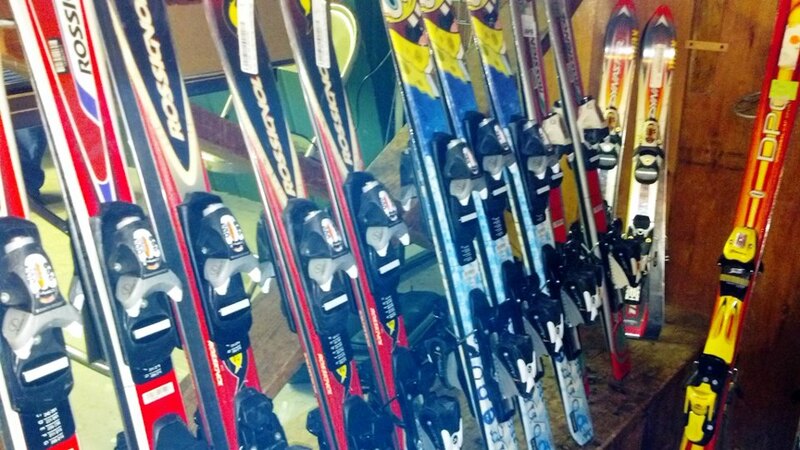 Many have learned to ski in this local, safe environment. The clubhouse has rest rooms, a snack bar, fireplace and tables and benches and is rented for private functions. In 1996-97 it hosted the Easy Street Coffeehouse. Above is a snapshot of the Pinnacle as seen from Waverley Ave. in 1972, taken by Ermine Trecartin in her walks around Pittsfield. 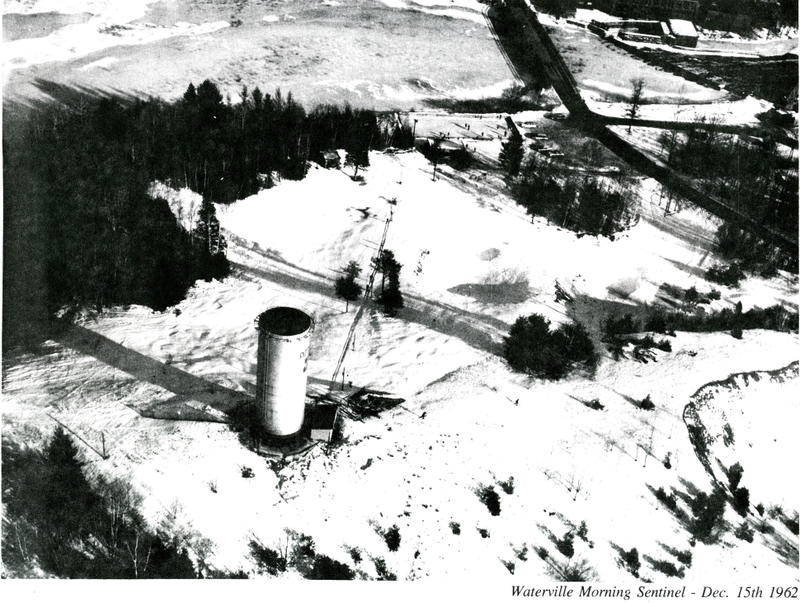 The old 1894 water tower at the top of the hill was taken down in 1989 after the Grove Hill water tank was constructed. 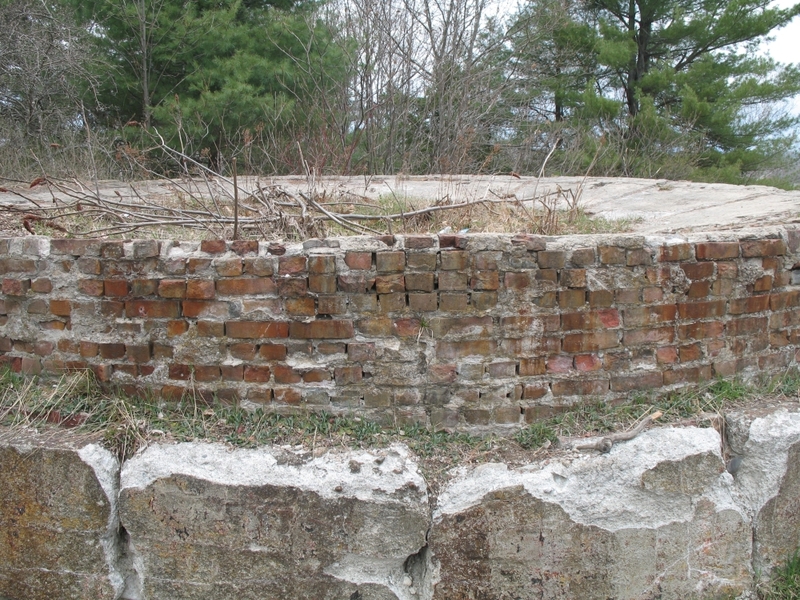 The base of the old water tank can still be seen today. Note the ski jump! Byron “Bud” Dow (1916-1979) was a seminal figure in the history of the Pinnacle and today there is a plaque on the approach to the ski hut in his memory. In the mid 1960’s Dow was owner of Pittsfield Hardware and Plumbing, located in the building where Kleinschmidt Associates is today. 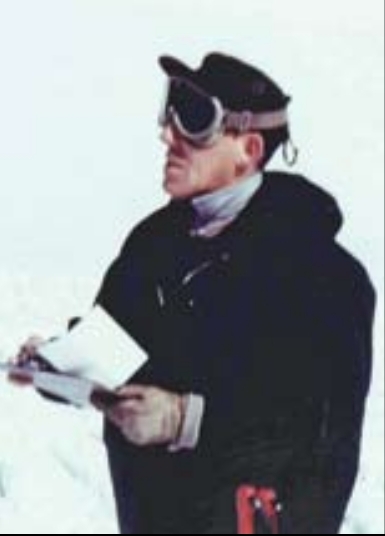 Dow was inducted posthumously into the Maine Ski Hall of Fame in 2009. 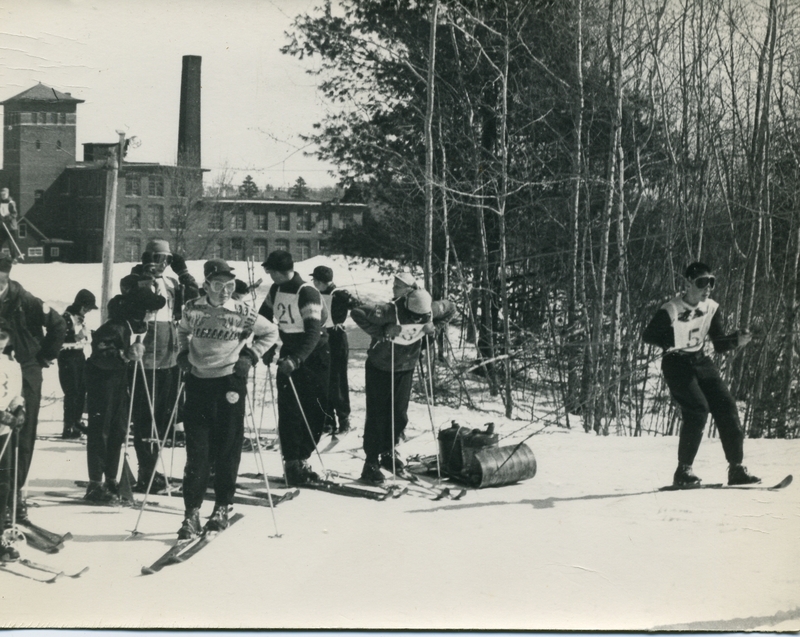 Read more about Bud Dow and his contributions to skiing in Pittsfield at the Ski Museum of Maine website. 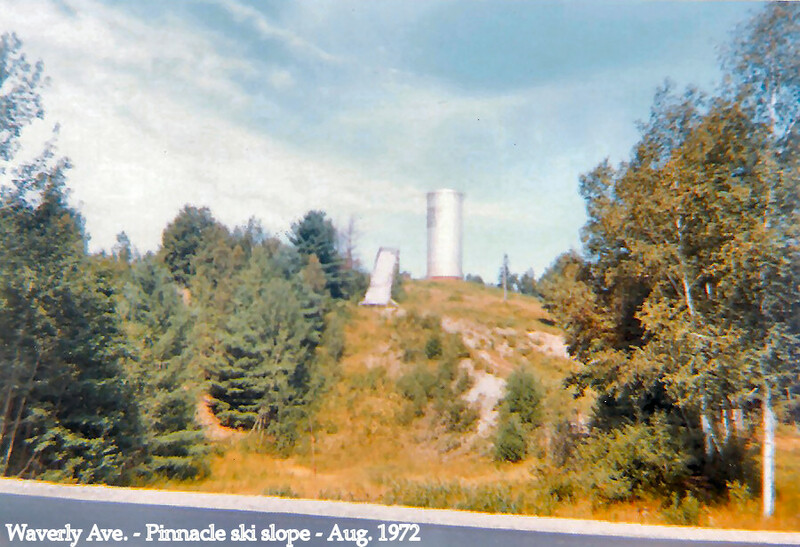 The very first Ski Chatter column written by Jack Baxter in The Pittsfield Advertiser about the beginnings of Pinnacle Park can be found in the 1994 Milestones and Memories, published on Pittsfield’s 175 anniversary. Collection of Ski Chatter columns from the mid 1950’s scanned from The Pittsfield Advertiser. This is a pdf of scans of various dates, and frequently the left edge of the column is cut off, likely due to the way the archive of The Pittsfield Advertiser was bound. 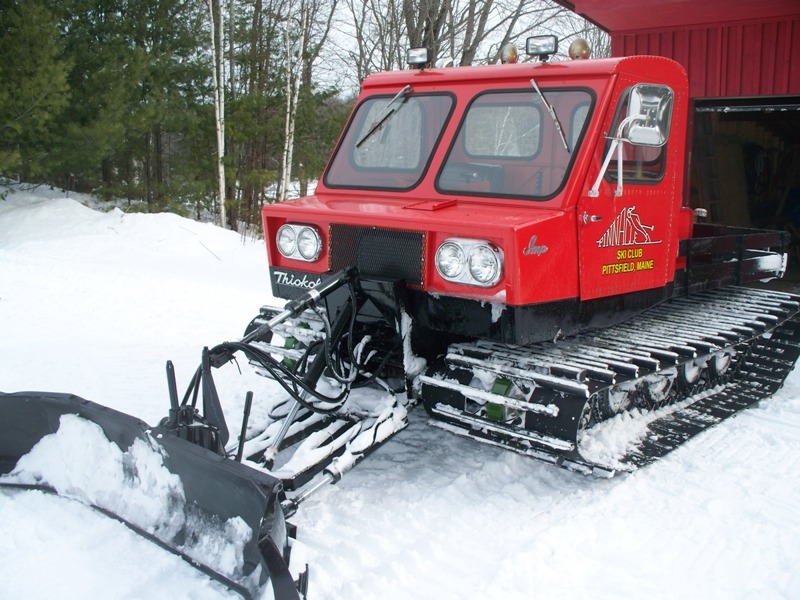 To My Ski Hill, article written by Jolene McGowan on the 60th anniversary of The Pinnacle in 2015. The Pinnacle’s Origin Story written by Connie Baxter Marlow on the 60th anniversary of The Pinnacle in 2015. More Pinnacle history on page 2.